Since 1996, fast reference by state, market or category. 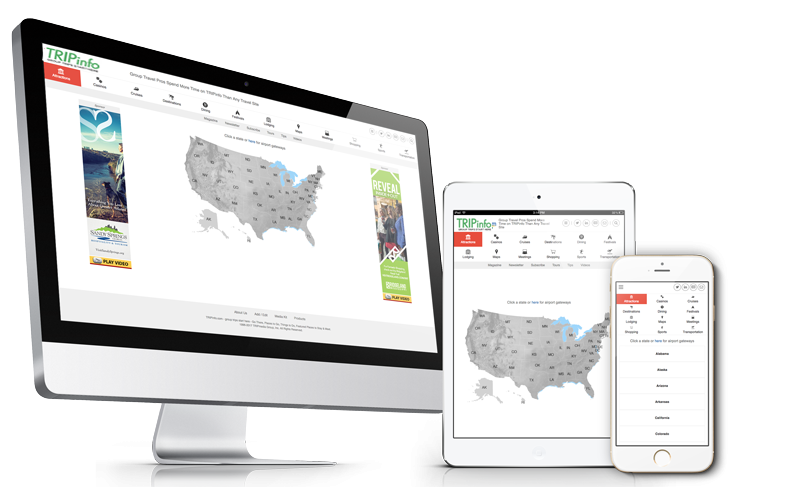 Where the most Group Prospects plan online. 45,000/month Group, Tour, Agent, Team Meeting, Event, Religious, Reunion, Sports, Student, Wedding & International Planners. TRIPinfo clients featured starting at $45/month. Weekly email, since November 2000. TRIPinfo clients content marketed in Newsletter. Since 1993 (originally print), respected reference for Group Planners. 60,000/year Group, Tour, Agent, Team Meeting, Event, Religious, Reunion, Sports, Student, Wedding & International Planners. 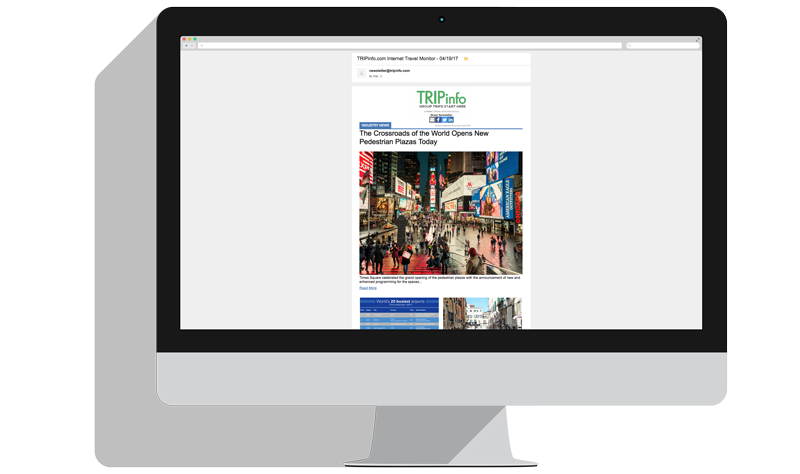 TRIPinfo clients content marketed in Digital Magazine.